It’s funny how it’s the little things that seem to make clear what you have known all along, but refused to acknowledge. On March 20, 2011, I bent down to tie a shoelace that had come loose — and I couldn’t. I literally stood there stunned. No matter how hard I tried, I couldn’t bend over to tie my shoe. It was at that moment that I realized that I had to do something about my growing weight problem. I thought to myself, why not combine my financial goals with my weight loss goals? OK, I know this sounds like a lousy way to save money. Anyone that has priced dishes lately knows that throwing away all your dishes and getting new ones can be quite expensive, but that’s not exactly what I did. Instead, I only got rid of the big dinner plate sized dishes (I donated them to a local thrift shop) and replaced using those with all the smaller plates that came with my set. I know it sounds stupid, but this one thing did wonders for me losing weight. One of the biggest problems that I always have when it comes to food is that no matter how big a dish I had, I always filled it with food and then I would always eat everything on my plate. The portions I was eating were enormous and it really was ridiculous. By switching to smaller plates, all of a sudden I could only put a certain amount of food on it (it works out to be about 1/4 of what can go on the bigger plates) and this has had a tremendous amount with helping me control my portions. I don’t know how much is psychological (that whole “a larger number means more” mentality), but I feel fuller when I eat two plates of food off of the smaller plates than I did a single of the larger plates even though the food portion is half as much. Make money while you lose weight with Diet Bet. I have one exception to my rule about pouring my drinks into small glasses. I am allowed to drink as much water as I want and I have a large water bottle that I carry around with me everywhere I go. This is my main form of hydration today as opposed to the vast quantities of sweet drinks that I used to consume before. By always having a water bottle with me, I can quench my thirst without having to go to the refrigerator to get something that is sweet. If I’m really craving something sweet, I can get it and pour it into the small glass. Simply by having the water bottle and getting into the habit of drinking water most of the time, I have greatly reduced the number of calories I take it through liquids and saved a lot of money. I had a terrible coke habit. No, not the type that could land you in prison for decades, but the soft drink. I was drinking close to a six-pack a day (I know, I don’t even like to think about it today). I now don’t drink Coke at all. I’m not exactly sure what the entire process was to achieve this. I think it started with the smaller glasses. It was a pain to have to fill up 5 glasses to drink a single can, so this initially cut down the amount I was drinking. At some point, I realized that I was drinking colored corn syrup and eventually eliminated it from my diet. Now not only do I feel a lot healthier, my wallet feels a lot that healthier too. I snack. It is something that no matter how hard I try not to do, I still haven’t been able to overcome. Knowing this, I have to have healthy snacks prepared for when these cravings hit. If I don’t have healthy snacks that I can eat, I will be out the door to buy unhealthy snacks in a second. This is one of the most important parts of me being able to lose the weight I have so far. The biggest challenge I have is finding a variety of healthy snacks that are easy for me to make (I’m not a great cook) so that I don’t get bored with my regular fruit and vegetable snacks. If anyone has a good resource for me on this, I would be extremely thankful as this is one area that is a constant struggle. Part of the trouble I had was that I never thought about what I was going to eat until the minute I became hungry. The result was that I chose a lot of unhealthy premade food because it was easy and I could quickly get it into my stomach to fill it up. It’s difficult to lose weight when you are constantly eating premade food. When I realized this, I learned to plan my meals ahead. I’m not a very good planner, so I’m still working on this one, but I am getting better. By having meals planned ahead of time, I’m never left at the last minute without something that allows me to make the excuse I can go out to eat or grab a quick bite somewhere. I make my meals the night before so that they are ready in the morning so I’m not rushed to get out the door and not have time to make them. I plan my meals for the week ahead so I know what I’m having each night (the slow cooker crockpot has been heaven sent for this) so I’m not sitting there thinking what am I going to have to eat each night. By putting a little planning into it, I’ve learned to eat much healthier than when I had to decide what to eat on the fly. One of my biggest challenges with losing the weight is that I’m not a person that enjoys exercise. I had to figure out ways that would make me move around that didn’t seem like exercise to me. One of the most effective ways that I found was to park at the far end of all parking lots so that I had to walk farther whenever I needed to go someplace. It may not seem like it would make a huge difference, but it has definitely helped me get a lot more exercise than I would have done so otherwise. Another one of those small additions I used to increase my exercise is that I stopped taking elevators. Instead, I now take the stairs. This, again, is a small step to get me to move around, but it has made a huge difference in helping me to lose the weight and get exercise that I wouldn’t otherwise get. This probably sounds like a weird one to have on my losing weight list, but it’s another one that I discovered as I began to pay more attention to the triggers that make me eat. I have learned that when I start to get tired, it’s time for me to go to bed. If I remain awake when I am tired, I start consuming food to try to help me stay awake. Once I learned that being tired was one of my eating triggers, I have learned to go to bed a few hours earlier than I used to go to bed. I now usually sleep eight hours a night (I used to sleep less) which allows me to get a good night’s sleep so that I don’t get tired during the day. This has made another huge difference when it comes to me consuming food. Another food trigger that I discovered within myself is stress. When I get stressed out, I start to eat. I have learned to spot when stress is coming on and try to relieve it in different ways. One of those is to get outside and breathe fresh air. A short walk is even better. When this isn’t possible, I also have stress balls at my desk that I can squeeze. I am in the process of learning some breathing techniques that I have high hopes will be another effective tool in my stress relief arsenal. I still have a way to go to work on this trigger because I’m not always successful in reducing my stress, but I’m getting much better at it. As I do get better, I find that I can tell when the stress is coming and I can deactivate it before I start eating. This is something that I have slowly come to terms with. I realize that what I am doing today is something that I am going to have to do for a lifetime, not just until the weight is gone. If I want to continue to lose weight and then keep that weight off, I am going to have to continue these changes in my lifestyle. This has been more difficult to come to terms with than I thought because there are so many commercials out there that peddle quick and easy fixes. Losing weight is neither quick or easy, and I have come to realize that a lifestyle change is the only way for me to ultimately succeed. In addition to losing the weight, a huge financial benefit is that I have cut my costs by about $500 a month making these changes. I have no idea if any of the above methods that have worked for me will work for you. As I said before, I am not an expert in weight reduction and these are just some of the changes that I have made that happened to work for me through trial and error. I hope that even a couple may help if you are struggling to lose weight. If you are also on a journey like myself, I would love to hear any other lifestyle changes that you have adopted that have helped you that I can also try. David had been a long time-Saving Advice reader that felt sharing his story might help others struggling with similar weight issues. He is considering starting a blog about his daily struggles with weight and money. Obesity is often associated with a high prevalence of psychopathological conditions such as depression and anxiety. 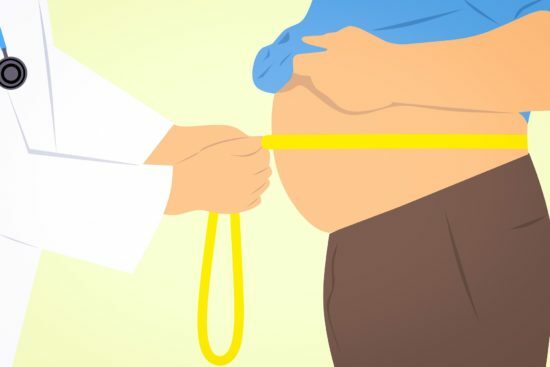 Thus, it is no wonder that weight loss surgery can improve a person’s mental health, including his or her body image, self-esteem and self-concept. Beyond gains in well-being, weight loss surgery can also prevent the development of type 2 diabetes as well as reduce a person’s risk of developing and certain types of cancer. 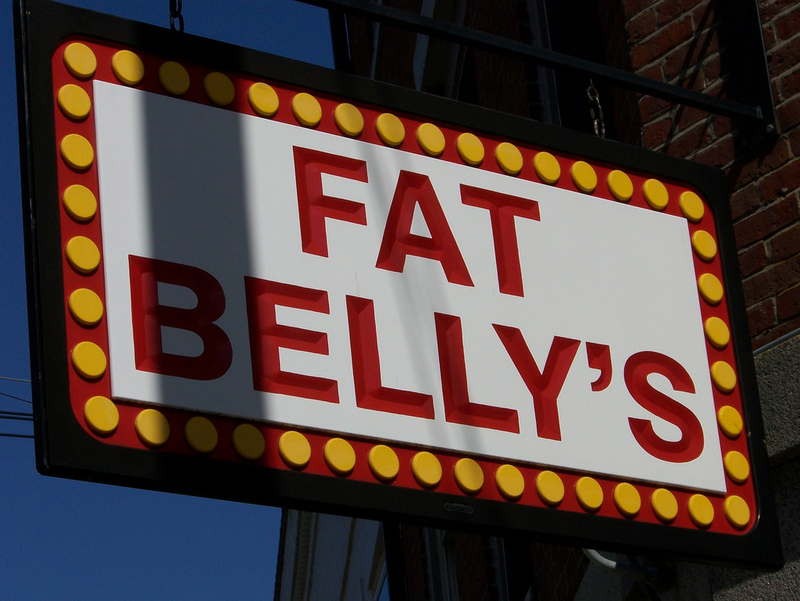 Now, two new studies from researchers at the Hospital of Special Surgery in New York City and Massachusetts General Hospital in Boston have shown that there are other benefits for obese patients who undergo weight-loss surgery. In the first study, presented at the 2015 Annual Meeting of the American Academy of Orthopedic Surgeons, obese patients who went through weight loss surgery were shown to have better joint replacement outcomes. Led by Dr. Emily Dodwell and her colleagues, the researchers recruited obese patients who required a hip or knee replacement. The patients were divided into two groups, one of which underwent weight loss surgery, while the other group did not. Upon analyzing the cohorts, Dr. Dodwell found those who received weight loss surgery prior to their joint replacements did better than those who did not. And using a mathematical model to “stimulate the outcomes and costs of each treatment path,” she determined that weight loss surgery prior to joint replacement is “likely a cost-effective option from a public payer standpoint in order to improve outcomes in obese patients.” Subsequently, she advocates that health care systems that do not currently include weight loss surgery as a “covered benefit,” should do so in order to improve patients’ outcomes. Though the study authors did not find that weight loss surgery directly causes a reduction in asthma symptoms (they only found an association), obesity is known to cause inflammation from excess fat cells and asthma is also linked to inflammation. Still, more research must be done to determine a causal pathway if it exists. Regardless, it is clear that obesity affects many health variables and if a person is experiencing difficulty losing weight, it’s best to speak with a doctor sooner rather than later. For years, everyone from nutritionists and schoolteachers, to parents and doctors have praised the value of a good breakfast for overall nutrition, weight loss and a happier life. This belief has driven free breakfast programs in schools for kids who would otherwise go without, breakfast bars at most hotels, and a thriving trade in drive-through breakfast specials to make sure you don’t miss out if you happen to be running late in the morning (not to mention the tricks cereal companies play to entice kids to choose their brand). This is all well and good for those who like breakfast, but what about those people who don’t like eating breakfast? They’ve likely spent years being scolded by various breakfast-loving authorities, or bending to the will of personal trainers who insist they force down green smoothies. Two findings published this week are good news for those who are anti-breakfast, and who no longer want to surrender in the name of good health. New research published this week in the American Journal of Clinical Nutrition suggests eating breakfast may not provide the magical weight loss or health equation we so desire. The research consists of two separate studies. The first was conducted at the University of Alabama at Birmingham Nutrition Research Center, where 300 volunteers, who were trying to lose weight, were observed over 16 weeks. The participants were randomly selected to either eat a controlled breakfast amount, skip breakfast altogether, or continue with their normal eating habits. By the end of the study none of the participants were shown to have lost more than a pound or so. The weight in all groups did not change as a result of eating or not eating the first meal of the day. The second study was conducted by researchers at the University of Bath on people who were the correct weight or considered lean and healthy. These participants were also randomly asked to eat or abstain from breakfast and went through rigorous heath testing after 6 weeks. The results were again unchanged. The participants’ cholesterol levels, blood sugar levels and resting metabolic rates were not affected positively or negatively by the extra meal. Researchers have concluded the opposite of what we’ve been told is true. 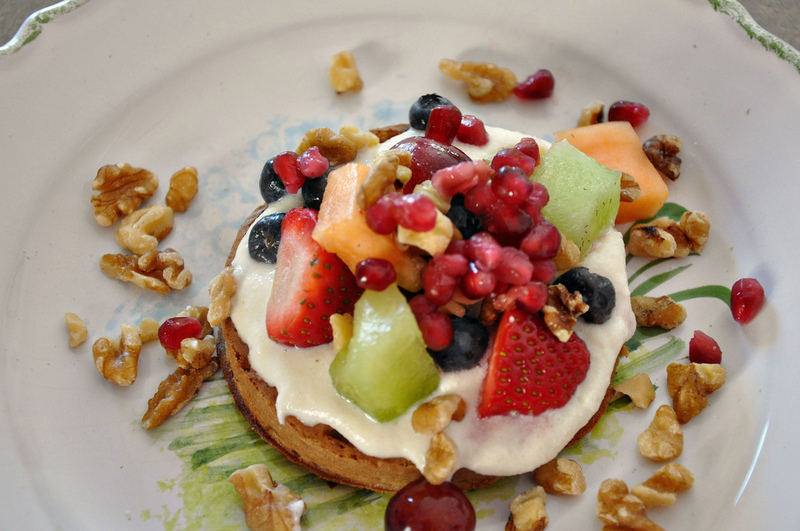 Skipping breakfast does not make people overeat later during the day. In fact, those who skipped breakfast are likely to eat less during the course of the day than those who religiously eat it. However, the ones who didn’t have their morning meal reported feeling more tired or sluggish in the morning. They also burned fewer calories than those who did eat breakfast first thing. So after years of being told what to do, this research may be the permission some need to ease up on the dreaded morning routine. With breakfast finally being shown as just another meal, we’ve got the choice to either like it or lump it, depending not on our desire to lose weight or do the right thing, but whether or not we feel hungry. It sounds so ridiculous that millions of people actually thought it might work. The claim in question was that underwear infused with such things as caffeine could help the person wearing it to lose weight. On Monday, the Federal Trade Commission (FTC) announced that both Norm Thompson Outfitters of Oregon and Wacoal America Inc. of New Jersey will have to refund a collective $1.5 million to those who purchased their undergarment line of shapewear. Both companies produced lines of underwear and leggings infused with “microcapsules” apparently containing such things as caffeine, vitamin E, and other “energizing” ingredients that falsely promoted weight loss and cellulite reduction. Norm Thompson Outfitters’ “Lytess” underwear line claimed that simply by wearing the garment, the user would lose 2″ of their hips and thighs within 30 days. “No diets or pills. Lose inches just by wearing these cellulite-slimming Lytess leggings. The unique fabric is infused with caffeine to metabolize fat.” Read the advertisement in Outfitters’ catalog. The prices ranged from $49 to $79, and Outfitters falsely promoted that they were endorsed by the talk show host Dr. Oz. They advertised fabricated scientific tests, that were according to the FTC, “unblinded and uncontrolled, and…contained significant methodological flaws.” As a result of their false advertising, Norm Thompson Outfitters will discontinue all clothing products that contain drugs or cosmetics and refund $230,000 to those who purchased Lytess. 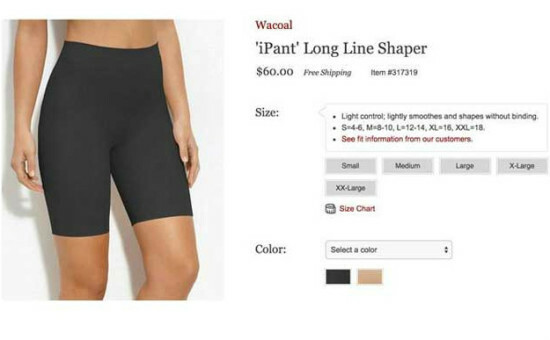 Similarly, Wacoal American’s line of “iPants”, which included bike shorts, tights, and leggings, falsely guaranteed weight loss through wearing its product 8 hours a day, 7 days a week, for 28 days would result in weight loss. Wacoal’s scientific studies were also imaginary, and they will refund customers $1,300,000. They are also legally forbidden to market any clothing that has weight loss benefits in the future. These shapewear products are just another incident in a series of “viral health schemes.” Small, little known companies jump to capitalize on whatever health issue is currently trending and develop a product that allegedly promises physical improvement. Companies like Waocoal American and Norm Thompson Outfitters came out of the woodwork, increasing their stock prices, and made enthusiastic statements on the news or social media about their product. What’s the take away? The old adage “if it’s too good to be true, then it probably is” still rings true today. It’s important to look at the claims being offered and to avoid being fooled into buying products that guarantee quick and effortless weight loss. Easy and simple weight loss simply doesn’t exist. For those who are looking for ways to lose weight, it’s going to take effort, and you’ll need to stick to the tried and true lifestyle of healthy eating and regular exercise to lose weight. Is Your Artificial Sweetener Contributing to Diabetes? The diet soda saga continues with new research published this week in the Journal Nature. This most recent discovery says that rather than being a way to fight weight gain, diet soda actually alters our gut microbes, which puts some of us more at risk for metabolic diseases like type 2 diabetes. Researchers at the Weizmann Institute of Science in Israel authored the study which involved feeding zero calorie sweeteners to mice. The mice, who were given three popular types of sweetener (Saccharin, Aspartame and Sucralose ), developed a glucose intolerance. In other words, their systems responded by increasing glucose levels to the point of hypoglycaemia. Intrigued by these findings, researchers Eran Elinav and Eran Segal set out to investigate if this would also be the case for humans. They did this by examining the data from 400 people who were already enrolled in a nutrition study called the Personalised Nutrition Project. They discovered from the data that people who ate or drank a lot of artificial sweeteners had elevated levels of HbA1C, a long term index of blood sugar, compared with those who didn’t eat the sweeteners. Then they did a one-week experiment with seven volunteers who hadn’t previously eaten artificial sweeteners. Each had to consume 10-12 packets of the sweetener over a seven-day period and then be tested to see what had changed. The questions remains, why should we believe this research over every other study that has come out about artificial sweeteners? Every year there seems to be a new point of view, so what makes this study different? 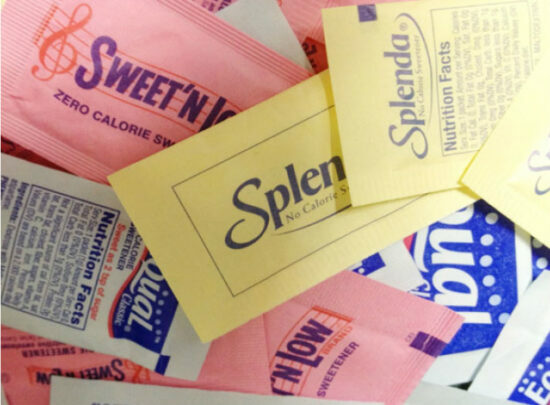 Well, although this research is only in its early stages, the gut link could partly explain why other studies on artificial sweeteners fluctuate so wildly in their conclusions. The makeup of everyone’s gut chemistry or microbiome is different, with many changeable factors. So if diet soda does effect the gut, researchers will have to find a way to establish a consistent control group of patients to experiment on before we can truly say we know if diet soda is good or bad for us. Wearable technology expert, Misfit, has come out with a new fitness band to attract newcomers to the world of wearable tech. 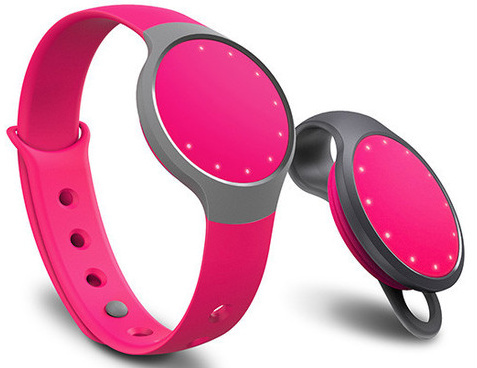 The Flash fitness band is only $50. It has a long battery life and a series of biometric tracking features that you’d only normally see in a more expensive model. The fitness band looks like a watch, but it can be worn in a variety of ways to track the amount of calories you’ve burned, the steps you’ve taken during the day and how far you travelled. Then it tracks the amount of sleep you’ve had and the quality of that sleep. It’s a hardy device, weighing in at just 6 ounces with an LED screen, which uses 12 lights to show your data. It is crafted out of a combination of a special soft plastic material and the material NASA use to build space suits. The most common complaint with wearable devices is the amount of time you need to spend charging them, but misfit has solved this problem with a CR2032 coin battery that will last up to six months. For those who don’t like bright colors or extra accessories, the flash can be worn in several different ways. Apart from around the wrist it can also be clipped on to your sleeve, tagged to your waist, strapped securely on to your shoe, wrapped around your ankle, clipped on as part of your key chain or, for the old fashioned among us, simply placed in a pocket. The question arises, what will you do with all of this information? Well the Flash can link to your smart phone – both android and iOS – and syncs to an app via bluetooth that can help you strike the optimal balance between exercise and rest to give you the best chance at living a healthy lifestyle.